Experts say blockchain has a bright future, much like the optimistic predictions the industry had for the cloud 10 years ago. 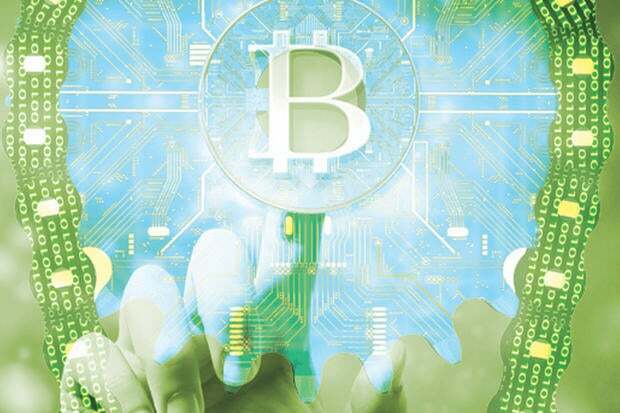 HALF MOON BAY, Calif. – Experts at a recent technology conference agreed that blockchain has a bright future, but warned it may be a rocky ride until that future arrives. Blockchain is a distributed database that uses a secure digital ledger of transactions that users can share across a computer network. It’s also the technology behind virtual currency bitcoin. “When you are at the leading edge there will be mistakes. People will get a lot wrong in the next five years. I think of it kind of like running with scissors,” says Constellation Research analyst Steve Wilson at the Oct. 26 Connected Enterprise conference hosted by his company. But blockchain enthusiast Richie Etwaru, chief digital officer at IMS Health, had a different take. He started by pointing to the colorful pair of sneakers he was wearing and noted he bought them using bitcoin, the controversial digital currency that’s been plagued by security issues. In the healthcare industry Etwaru says blockchain can help establish new business models that overcome what he describes as the massive absence of trust that exists today among patients, doctors, the pharmaceutical industry and the government. One example Etwaru points to is that trials for new drugs are often flawed because patients don’t trust how their information is going to be used. “With blockchain you could do things like citizen research for healthcare. There could be autonomous organizations like a Wikipedia of research on cancer based on an abundance of trust enabled by blockchain,” said Etwaru. Mike Kail,chief innovation officer at Cybric, a company that’s looking to “disrupt the cybersecurity landscape” with new services, says blockchain has got people thinking differently about what’s possible. Kail says blockchain technology promises to change the status quo of having to trust a broker to complete financial transactions to a system of automated, verifiable transactions that eliminates the middleman. Speaking more broadly, he says blockchain can bring more efficiency to every company with a supply chain challenge. For companies looking to test the blockchain waters he suggests figuring out a small use case where you can apply blockchain methodology and monitor the results. Another speaker, Shawn Wiora, cofounder and CEO of Maxxsure, a cybersecurity and cyber insurance company, is using blockchain to offer new kinds of services. “We’re able to offer things like variable premiums for a cyber insurance policy that changes as your cyber profile changes,” said Wiora. “Does anyone else offer that?” he asked rhetorically. But even with some companies already innovating, veteran Silicon Valley product executive Chirag Mehta says blockchain’s best days are clearly ahead of it. “Blockchain looks like what the cloud looked like 10 or 15 years ago,” says Mehta, a former executive at SAP and adjunct professor at Santa Clara University where he teaches such topics as web services and cloud computing to graduate students. What blockchain does really well, he adds, is provide the technical integrity necessary to let you trust a series of events. “But don’t confuse that with security,” he emphasized. If blockchain needs a blue chip, big name advocate it has one in IBM. Aron Dutta, global head of blockchain at IBM, says he’s already running blockchain technology globally across industries. He sees blockchain as giving companies a way to rethink business models and make more money. David Needle is a technology journalist based in Silicon Valley.